Nine months after launching, UTV has given its struggling Irish channel UTV Ireland a refresh. 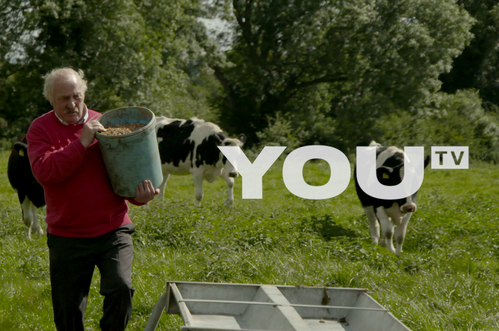 New idents and imagery for the channel have arrived today, with the new strapline "YOU [TV]." The channel has had a mixed reaction from audiences since its launch in January, with the channel struggling to develop beyond simulcasting Coronation Street and Emmerdale. Some viewers have complained that the new service doesn't show the full ITV schedule, while others say it's not Irish enough. Cable viewers in the Irish Republic have complained about the loss of UTV Northern Ireland brought about by the launch of UTV Ireland. Its high profile chat show presented by Pat Kenny was axed earlier this month. As UTV Ireland is not part of the UK's ITV/Channel 3 network, it doesn't have the rights to show the full ITV schedule south of the border. UTV Ireland simulcasts most of ITV's homegrown shows, but some programmes made by independent producers are shown on rival TV3. The new look might not last that long: ITV is thought to be in the running to buy UTV's television assets, which went on sale this summer. Even if ITV took over UTV Ireland, its schedule would continue to vary, until such time ITV acquired full programme rights for its portfolio of programmes and sports coverage for both the UK and Ireland. ITV channels can be widely received via overspill from the UK via satellite and in some areas terrestrially, but this is different to being available officially on terrestrial, cable and satellite EPGs in Ireland.